I haven't been sending any Chinese New Year cards for many years now. With the advance technologies, we could send wishes through the internet and hand phone devises, fast and convenient. 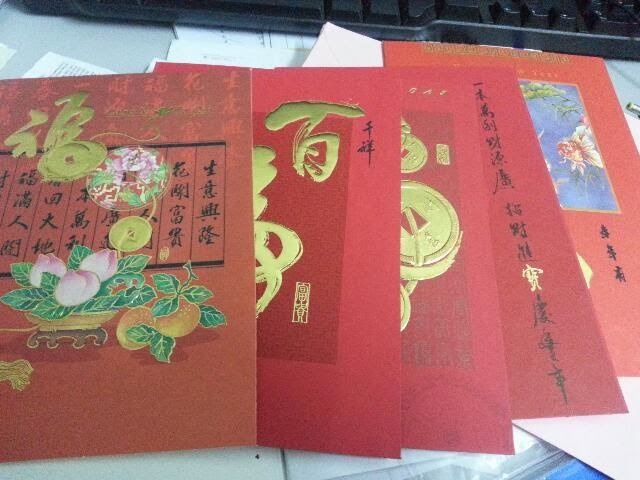 But this year, I am trying to send Chinese New Year cards to friends. The occasion is near, I will have to rush to send them out. That's very nice of you. Happy Chinese New Year to you and family.